Description: Our room air sanitising spray provides an excellent level of hygiene for facilities with high traffic in mere minutes. It maintains the cleanliness and bacteriological safety of public places. Especially useful for when areas need quarantine or must rapidly deodourise and sanitise the air. In addition to antibacterial protection, the spray will absorb and neutralize odours. A dry based spray, it will not leave behind any residue. 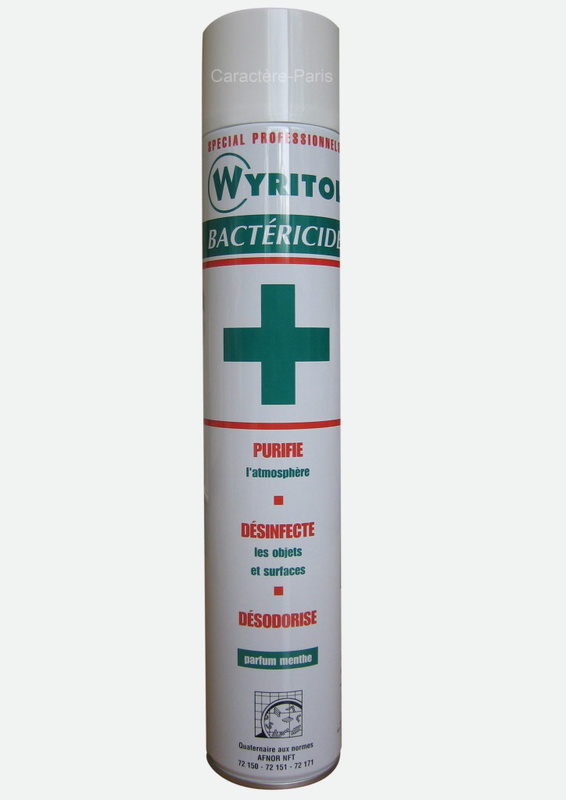 Uses: Contamination of the air being a permanent problem, especially in the childcare and healthcare industries, as well as manufacturing, agro-business and others, sanitation has become a top priority. Directions: Apply the spray in a circular motion for 5 to 10 seconds, one to three times per day dependent on your facility's needs. For the treatment of surfaces and objects, spray for 1 second per square metre (9 square feet) by placing the aerosol can 20 to 30 cm (8 to 12 inches) from the surface. Precautions: Not recommended for use on surfaces sensitive to alcohol. Some poison control centres may be aware of the formula.